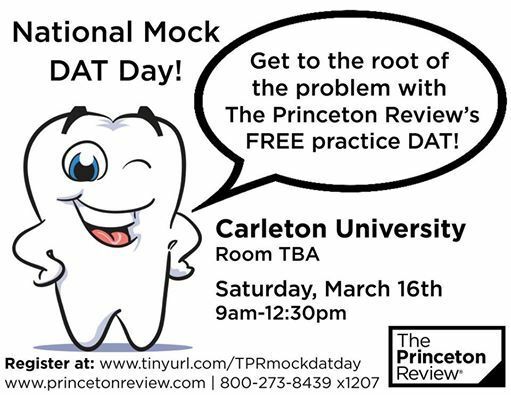 Join us for a FREE practice DAT event with The Princeton Review! Are you applying to Dental School? Come out and write a FREE Practice DAT on Saturday, March 16th from 9:00am to 12:30pm! 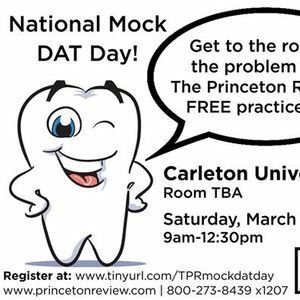 This FREE event will be at Carleton, Room TBD. This is a great opportunity to get a feel for the DAT and learn what you’re up against. After the test, you will get access to a detailed score report! Register for FREE at www.tinyurl.com/TPRmockdatday or by calling 1-800-273-8439 x.1207.